Since commencement in the year of 2009, China aviation finance and leasing industry has developed impressive product and service, promoting the rapid development of aviation economy. By 2019, it has been eleven years since the first aircraft was delivered on bonded lease. Standing at the beginning of next decade, it is necessary to look ahead the future development on the basis of past experience. 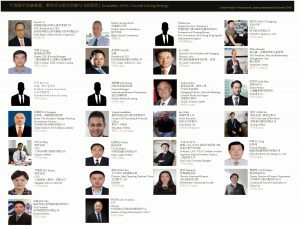 Accordingly, China Aviation Finance and Leasing International Summit 2019 will be held on 10th – 11th, JAN, 2019 at Shanghai, China. At the international summit, we will talk about Airlines and Aviation Finance in Asia-Pacific region. This event will be attended by leaderships from global airlines、airport groups、aircraft manufacturers, MRO, OEM, aircraft leasing companies, banks, institutional investors, law firms, tax firms, governments and so on. At the international summit, we will talk about Airlines and Aviation Finance in Asia-Pacific region. It is a great occasion for you to rethink how to upgrade strategies and business models and provide an open platform to promote cooperation and communication. CFO, Commercial Aircraft Corporation Capital of China Ltd.
Finance Director, Brazil aviation industry. How does Aviation Finance Serve the New Trend of Air Transport Market in the New Environment? The financial, legal and taxation system of aircraft leasing in Hong Kong. The Revolution of Aviation Finance Industry and Aircraft Leasing Strategy. New Era, New Starting Point, to Build a World-class Aircraft Leasing Company. How do We Rethink about the Demand for the Global Cargo Airfreight to Rise? The New Airline Strategies and How to Support it in the Field like Aviation Finance. General Aviation Financial: Challenges &Opportunities. How can Aviation Finance Boost the Sustainable Development of the Aviation Real Economy. The Comprehensive Financing Solutions to Aircraft Financing. Where is the Investment Opportunities in Aviation Finance Markets? Overseas Financing Sources for Aircraft Financing in China. How to Optimize the Professional Ability of Aircraft Life Cycle Asset Management. Light Asset Transformation: How to Build an Aircraft Asset Management Platform? Where Is the New Profit Point of Aviation Finance & How to Grasp It in the Next Decade?